The ecological state of the region due to the shoaling of the Aral Sea has a definite impact on nature and the environment, as well as living conditions, Turkmen President Gurbanguly Berdimuhammadov said in his statement. "That's why it is necessary to join all the efforts of the states in the Aral Sea region and the world community," Berdimuhammadov said in his message to delegates at a two-day conference 'Ecology of the Aral Sea: sustainable development and international cooperation' which opened in Dashoguz (Turkmenistan) on Wednesday. The event is being attended by representatives of the International Fund for Saving the Aral Sea (IFAS), delegations from Russia, Kazakhstan, Kyrgyzstan, Tajikistan and Uzbekistan, UN, World Bank, EU and other international and regional organisations. "Sustainable development of humanity and its ecological security are inseparably associated with inter-regional and international cooperation. I am confident that today's international conference will be of great importance for the exchange of experience and making joint decisions by representatives of international organisations for the protection of the environment, scientists and specialists," the Turkmen president said. The agenda includes discussion of issues of regional environmental policy in several key sectors. 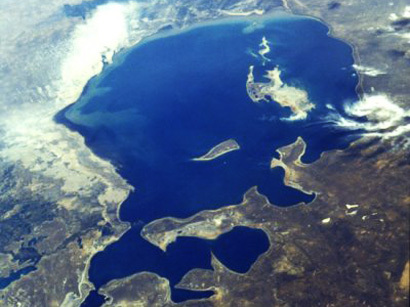 It is focusing on the ecology of the Aral Sea, the prevention of desertification processes, protection of biodiversity and environment in the region through forestation and sustainable management of water resources in the Aral Sea region.